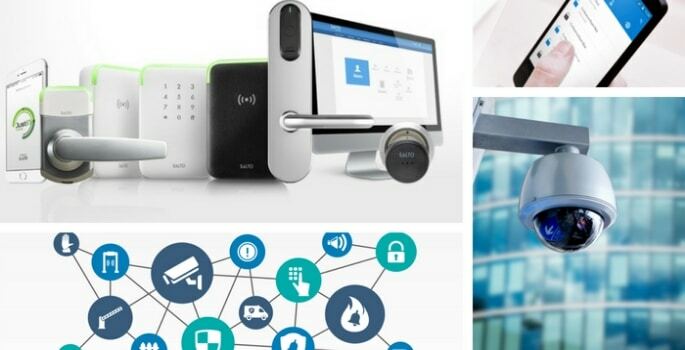 With security threats on the rise, it’s tricky choosing the best security solutions for your university, and despite there being a vast array of integrated security solutions on the market, some institutions are still using more traditional and often separate security solutions. In this article we’re going to look at the ways in which an integrated security solution can improve your university’s safety, helping you to move away from traditional and old-fashioned solutions. CCTV or video surveillance becomes your eyes, giving you details of whom, where and when people are on your premises. In an educational environment CCTV also helps you meet guidelines around safeguarding students. It also helps tackle anti-social behaviour; you’ll be able to see these incidents on screen, helping to reduce them over time. You can identify those trying to gain access using a blocked or reported lost ID card. CCTV as part of your wider security solution helps you create a safer environment for the whole campus. Think about your institutions assets, laptops, printers, equipment and furniture. These assets will have cost you a lot of money so need protecting too. During out of hours’ and during the day your CCTV along with your access control solution will stop or alert you to any unauthorised access or movement on your premises. You can restrict access to certain rooms/departments based on a student’s course or a staff member’s role, helping further protect your assets and building. Traditionally visitors are administered manually but this is labour-intensive and relies on staff properly managing the process. An integrated security solution can register visitors, alert staff they’ve arrived, issue temporary access control credentials and ID cards. CCTV and access control then, monitors and ensures visitors don’t stray from their designated location. Visitor management is also ideal for controlling reception traffic ensuing visitors are managed efficiently. You want solutions that make life easier, with integrated security you benefit from safer premises, which are simpler to manage. As experts in integration AIT recognise that institutions don’t want a one size fits all approach and will implement a bespoke security solution that is right just for you and your security strategy. You can even integrate with existing systems you already have in place, making your budget go further and saving time on costly additional procurement processes. Click here to find out more about systems integration. Alternatively, if you would like more information on the type of solutions we offer, drop us an email at solutions@ait.co.uk or call us on 0113 273 0300. Security systems protect your most valuable assets - your staff, students and campuses.